IndiGo currently offers around 1400 daily flights and connects 53 domestic destinations and 18 international destinations. Currently, IndiGo has a fleet of over 200 aircraft. 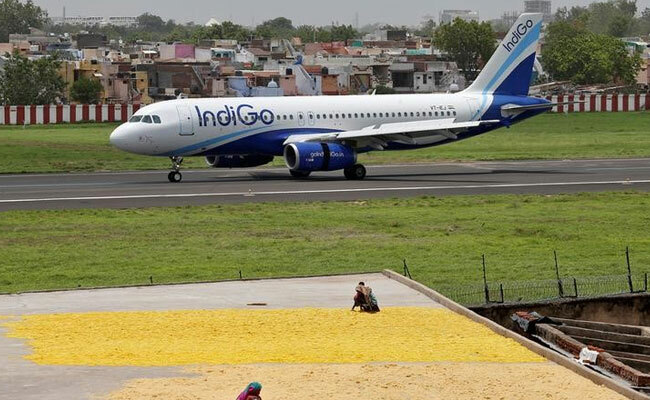 IndiGo on Tuesday announced the addition of domestic flights from Mumbai and Delhi. The additional daily flights will be operated on Mumbai-Bhopal, Mumbai-Ahmedabad, Mumbai-Goa, Mumbai-Indore, Mumbai-Chennai, Mumbai-Kochi, Mumbai-Amritsar, Mumbai-Ranchi, Mumbai-Lucknow, Mumbai-Coimbatore and Mumbai-Bengaluru routes, starting from May 5, 2019, the airline said in a press release. From May 10, 2019, it will operate additional daily flights on Delhi-Nagpur, Delhi-Kolkata, Delhi-Bhubaneshwar and Delhi-Bhopal routes. Bookings for the flights are open via airline's official website, goindigo.in, the airline said in a statement. According to the IndiGo statement, the new flights are designed to cater to business and leisure travellers who are constantly on the lookout for new and affordable flying options. "These flights will also connect to IndiGo's existing domestic and international network. This is an effort to make it easier for customers to find affordable fares during the busy season," it said. Currently, IndiGo has a fleet of over 200 aircraft. The airline offers around 1400 daily flights and connects 53 domestic destinations and 18 international destinations, according to the release. Meanwhile, rival Vistara has announced 10 per cent discount on domestic flight tickets. The fare is applicable for a minimum of 4 passengers for economy class (except economy lite fare) on a single ticket booking, according to the carrier's official website, airvistara.com. GoAir, on the other hand, is offering domestic flight tickets at a starting all-inclusive ticket price of Rs. 1,375 in a limited-period sale. Bookings under this sale can be made till April 17, 2019.